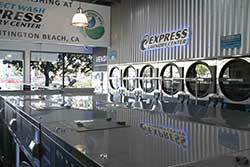 Your Continental distributor holds years of experience developing new, energy-efficient card and coin laundries. So, it makes good sense to partner with your Continental distributor every step of the way. 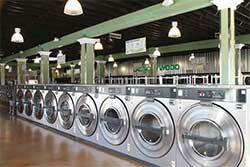 Your Continental distributor can help with locating your coin laundry, running demographic studies, handling lease negotiations, securing competitive financing, selecting and installing laundry equipment, developing laundry plans, marketing and management. Continental distributors are highly experienced – they know what works and they want you to succeed. Most importantly, Continental distributors support your success after the sale, by providing service, management and marketing help to ensure your coin laundry operates efficiently. To find your Continental distributor, visit our Continental distributor locator. There are many factors to consider when selecting the location for your coin laundry, including traffic density, population, competition, availability of utilities, store visibility and even available parking. Be sure to consider a location's traffic patterns and volume, neighborhood trends and competition. Are there any other coin op laundries nearby? If so, how might their business affect yours? Your Continental distributor can help you answer these questions. Curious? Contact your Continental distributor. 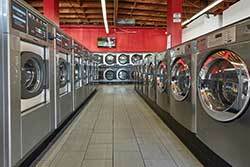 Location & Demographics – The location of your coin laundry is critical to its success. And, there are many factors to consider before you purchase a site or secure a lease. Your Continental distributor can help you strategically evaluate a given location. Laundry Planning – Card or coin laundry equipment, energy-efficiency, services and flow; these are the factors to consider when designing a new store. A good coin laundry layout utilizing the right laundry equipment saves time and money. That's why, along with providing the best coin operated laundry equipment in the industry, Continental distributors offer complete design and layout services. Our Continental distribution team understands how to maximize profit potential through equipment mix, services and layout. Proper card or coin operated laundry equipment placement and sizing will maximize your coin laundry's revenue and operational efficiency. The ExpressWash Washers make it possible to wash and dry laundry in less than 60 minutes by removing more water and moisture during extract. Items dry more quickly, which improves customer turnover and reduces natural gas consumption. Once customers realize that their laundry comes out nearly dry – and they can complete laundry in under an hour – that sinks in and they discover the advantages of ‘Clean. Green. Express. At Laundry Lounge, I doubled my gross income and cut water usage in half just by replacing the existing equipment with Continental washers and dryers. A quarter of my customers opt for an ‘extra’ wash, rinse or delicate cycle using Continental’s ProfitPlus Control. The Control gives them more options to customize the wash process without over complicating it.